My misery quickly compounded when I realized, only after receiving the keys to my new digs, that every elevator ride and doorway entry was dependent on an activated and encrypted HID brand “key fobb”. The rental administrators, cheerful and accomodating birds of a feather, expressed enthusiasm over the RFID tote as a posh security amenity. In the days to follow, I became relentlessly irritable, crabbing at every movement based on a requirement that I use the damned RFID device. All of my new acquaintances heard my exasperation. “I really don’t like it here and I don’t want to be here,” my guest said after rolling through intersection after intersection containing 2 real time CCTV cameras, a scattershot detector and some ugly speed radar equipment. If you couldn’t make the case for a government audit based on waste detection, you could make the case for sheer urban blight. The first time I noticed the cameras weren’t limited to intersections, I was shopping with my partner at Whole Foods. As we wheeled the grocery cart to the back of the trunk, our attentions were suddenly diverted. 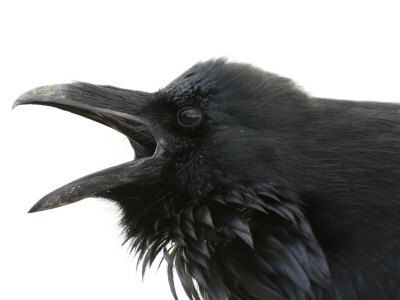 A large ruffled crow was sounding off loudly after landing atop a city CCTV camera in the far corner of the parking lot. It was a creepy goad, galvanizing my resolve to not let Big Bro. get me down and to lend an effort to make a difference. As we returned home, I was quickly reminded that an RFID record was created as I entered the elevator at 2:30 PM at the 1st floor of the garage and then pushed the up button to my floor at 2:31PM. If that wasn’t enough, there was a dome-camera watching my partner and I cart our groceries into the foyer while waiting on the elevator. I didn’t actually answer these questions. I just stared at him in wonder, at how close this all seemed to some sort of lucid collaborative harassment. Could it be that someone was busy writing a SAR in anticipation of what I *might* do as an activist in the Seattle Metro area? Seattle, WA was the one of the initial pilot locations of the model Fusion Center. My mention of certain TSA workers’ cancer affliction due to airport Rapiscan equipment made for a convenient end to our conversation. Another late development following the conference was the rise and fall of Anonymous’ Facebook Op. The 10 month old campaign railed against Facebook’s International crimes against the user privacy in this video release. Amid their other damning claims was Facebook’s involvement in trading activist profile information with authoritarian governments for purposes of targeting in Egypt and abroad. WHEN SOMEONE DEACTIVATES YOUR RFID TAG…. A nice Indo-Asian couple and their young son boarded the elevator and recommended that I just try using my key fobb a different way. Following their advice to get to the rooftop, I took the stairs for exercise. As I got to the top, my key fobb didn’t work, glowing a nice red -NO- to my entry at the roof. I figured this was fluke. It wasn’t. I quickly learned I was trapped in the stairwell and unless I reached the ground floor of the building I would not be able to get out. This was the certain taste of what it would be like to be suddenly cut off from access in a heavily RFID dependent building. I quickly explained my distress over the electronic key malfunction and the close of the leasing office for the day. I didn’t have my phone with me to call for help. He worked for Microsoft- how could he deny me technical support? We worked together to get on the phone with the building’s after hours service. We retrieved the emergency number online and moved onto the next hurdle. As a new neighbor, he successfully assured me he wasn’t a serial killer and accompanied me to his new home to retrieve his cell phone. He didn’t yet have land line service. As I milled around the couches in partially furnished living space, I came across interesting books, The True Believer: Thoughts on the Nature of Mass Movements and a yellowed paperback of Atlas Shrugged. I could count my blessings, I was in good company. I was given an pseudonym account with a different key fobb. Nowadays, I can get around the building and no one really knows it’s me. If the lights go down, I will know how to exit the building safely.